Bilal has always been a purveyor of eclectic healing soul. The instrumentation, the lyrics, the underlying messages – all tightly wound and packaged as albums that stay with you set after set. It’s no surprise that his recent release A Love Surreal is a collection of soul, embedded with accents of wailing guitars and dreamy flows of instrumentation coupled with Bilal’s vocals. A Love Surreal has some really great tracks on the whole, a few that grip your intellect, and others that put you on automatic groove pilot. The urgency and sense of loss in “Slipping Away” builds throughout the track and is escapable. “West Side Girl” can’t help but be etched into your brain, with the fun catchy “heeeey, how you doin’…” repetitive start on verses. We get a dose of classic Bilal on the straight up million dollar question he asks in “Back To Love.” A track that can never get enough play. “Winning Hand” is a definite number one with its vintage soul and rock infusion. Very reminiscent of something that someone of funk-excellency would pull out of their bag of tricks. i.e. Prince or even Lenny Kravitz for that matter. The art of storytelling is brought to the forefront of the amazing “Lost For Now.” A track that could have extended forever. Melancholy vibes, drums, guitar strums. You can get lost in the melody. Whenever Bilal releases an album, it’s the main event in itself. Even though his mainstream following should really be exponentially larger than it presently is, he has a solid and devoted fan base that waits by bated breath for anything the artistic vanguard releases. Rightfully so. Always pushing the envelope and boundaries, he is able to deliver albums that leave an impression and then some. 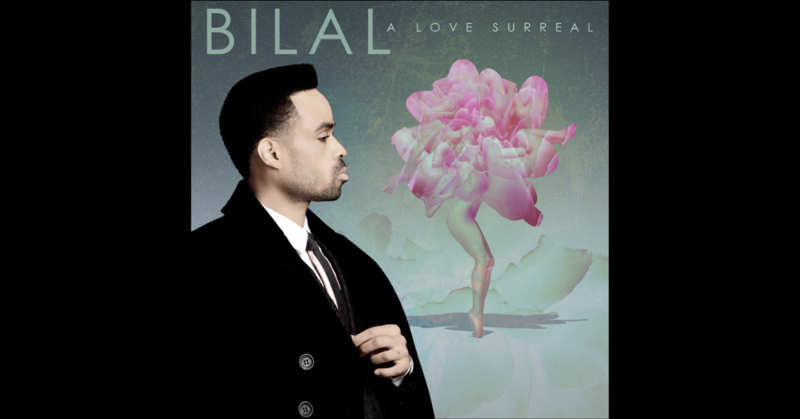 A Love Surreal is no different and carries on in true Bilal style. Another gem for your collection.